Run time: 3:45PM !! SHARP!! !! Please Note !! From North/East go extent of Eastern Main Road & Manzanilla-Mayaro Road towards Mayaro. From Central/South go extent of Tabaquite Road & Naparima-Mayaro Road towards Mayaro. From Mayaro junction turn South along Guayaguayare-Mayaro Rd and travel for 15 1/2km (9 3/4 mile) to Galeota Road (Old Amoco Road). Continue past Galeota Road along Guayaguayare-Mayaro Rd for further 4km (3.2 mile) past Sea Wall to Recreation Ground at Ferrier Circular Rd corner. Get comfy within the pavilion..this is your run site!! No parking on the field!! Parking along Ferrier Circular Rd, or go just past pavilion to empty area on seafront. Transport: Car-pool or contact Zam or Jenni for a Maxi. This is a long journey & a heavy jam so designate your driver. Bus leaders please give yourself sufficient time to arrive & be ready for the run briefing at 3:35PM. Safety: If you are late do not venture into the Guaya forest after pack has set off !! We will not come looking for you !! Bar: Hash Bar – Support your hash bar!! 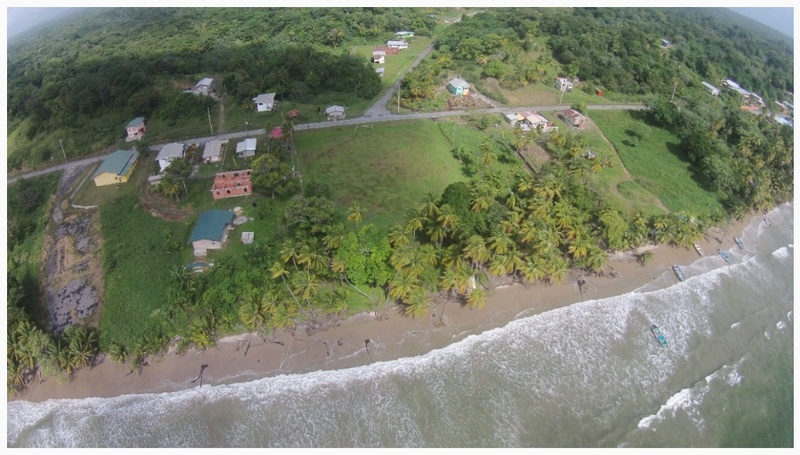 On-After: The On-After is at Scrapie’s Beach Bar (800m (0.5mile)) away from run site heading back towards Mayaro. Find park along Guaya-Mayaro Rd. Bar is inside compound down to seafront. P.S. staying on in Guaya for remainder of weekend? Check the hares residence. The lime continues; behind Patch’s Bar. Check with Coffee. DIRECTIONS: Drive along the Maraval road on the way to Maracas Beach. On reaching the pillars in Maraval, turn left and head to Maracas beach…..continue driving until you reach the beach passing the public car park on the right and all the famous bake and shark food huts. Continue driving slowly and in couple seconds you will see a gas station on the right just before Uncle Sam’s Bar. Before the gas station, there is a road on the right. Turn into that road and make the first left. Turn and drive straight….follow the HHH signs, the last house is Doon’s residence and the run site. Food will be on sale.